Welcome back to Aleiah who posted for the Turret while she was a student in Communication in Engineering (CCOM 206). Here is a post she wrote with her fellow student, Kevin Xie, for a class assignment for Engineering Professional Practice (FACC 400). Humanity is on the verge of technological advancement which will make possible the colonization of Mars, the red planet. According to SpaceX the first human is planned to land on Mars by the year 20241. However, this calls into question: Should humanity colonize Mars? The colonization of Mars is a complex issue with many underlying aspects. There are also many technical challenges such as, overcoming cosmic radiation, bone demineralization and the psychological stress of a journey to Mars. For Mars to be habitable by humans, it must first be terraformed. Terraforming is a process in which the environment of a planet is modified to emulate the earth. It involves the modification of the atmosphere, topography, temperature and ecology. Doing this will help scientists on Earth understand Earth’s own environment as well as facilitate human life on mars. Any technological advancements made will help all of humanity. An example of this is climate change on Earth. Understanding how to control the temperature of a planet can help solve climate change on Earth. The World Bank reported in 20152 that approximately 11% of Earth is arable, meaning capable of being ploughed and used for crops. As human population grows and food security becomes a greater issue, the agricultural industry would benefit from technology that allowed them to farm on unforgiving land. 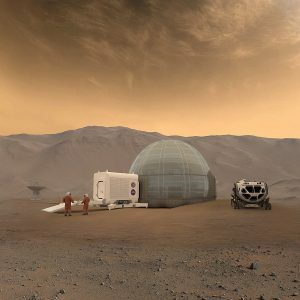 The Mars project faces this exact design problem as humans would need to start growing their own food on Mars in order to successfully colonize there. Astronauts face a number of health issues in space, such as loss of bone density and muscular atrophy due to the lower gravity. In particular, Mars only has 38% of Earth’s gravity. Under prolonged circumstances, astronauts could find themselves facing skeletal damage. Although the circumstances are unique to the astronauts, these health concerns are not. Osteoporosis is a common public health problem whose patients tend to neglect their medication as they don’t believe in the effectiveness of the treatment. Solving this problem for astronauts will also help these patients. Mars offers very little radiation protection and shielding compared to Earth, due to having no magnetosphere and a very thin atmosphere. Whereas humans on Earth are naturally protected from solar radiation and galactic cosmic rays, as Earth explores more sources of energy including nuclear power, it will soon become increasingly important to create technology that would protect humans from radiation. Additionally, it is important to think of the colonization of Mars not as a transfer, but an expansion. Creating a colony on Mars does not mean that the earth will be abandoned. It can be compared to the first European settlers arriving in America. America was simply an expansion. In order for humanity to continue to progress, Mars must be colonized. The colonization of Mars is also a stepping stone for humans to move beyond the solar system. The knowledge gained from colonizing mars will not only pave the way to going to other planets, but also building permanently habitable space stations in which humans can live. Today we have another guest undergraduate student post, originally submitted as a class assignment for Communicating Science (CCOM 314). With support from Diane Dechief, Faculty Lecturer at the McGill Writing Centre, we will be sharing more noteworthy student writing right here on The Turret. Annie chose to write a Trilobite article that provides knowledge on the health consequences of the use of cell phones by doctors. Your mobile phone carries the dirty fragments of germs. Thousands of microscopic bacteria bugs are crawling on it. The residue of greasy food is smudged on the screen. The remnants touched on public door handles have engulfed the surface of the phone. Mobile phones are your hands’ partner in crime: you can wash your hands to eradicate germs and prevent the spread of germs, but you can’t wash the cell phone – at least not with soap. Without proper cleaning, germs are like glitter, they will never go away. Healthcare workers who bring mobile phones to work interfere with infection controls in hospitals. 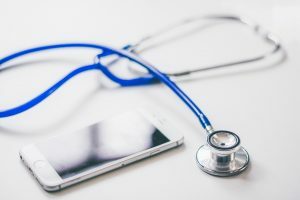 Healthcare workers cell phones are a magnet for bacteria and harmful chemicals, which could decrease patients’ recovery. Hospitals should be the most sterile places in the world. But our tiny gadgets may ruin this. At any rate, there should be major shame towards the television series Grey’s Anatomy, where the characters are constantly using their mobile devices during patient care without washing their hands. In a study published by Excellent Publishers in 2017, Ganapathy Shakthivel and his colleagues, working in the department of microbiology at Tirunelveli Medical College in India, examined 50 randomly selected healthcare workers at a specialized care hospital. They investigated how the bacterial contamination of cell phones poses a threat to infections. They then assessed whether contamination could be cleaned simply with 70% rubbing alcohol. The study lasted for two months and included mobile phones belonging to doctors, nurses, laboratory technicians, nursing assistants and hospital workers. Each worker first filled out a questionnaire that asked questions about the prevalence of phone usage between patient consultations and if workers washed their hands in between use or followed a strict sterile routine. Following this, each mobile phone was swabbed twice. The first swab took place before the decontamination procedure, the second swab occurred after the phone was thoroughly cleaned with the rubbing alcohol for 5 to 7 minutes. The study revealed that of the 50 mobile phones in the study, 90% were found to be carrying multiple microorganism bacteria such as E. coli, which is very likely to cause infections. The decontamination results revealed that rubbing alcohol proves effective. The majority of the phones (78%) showed no bacterial growth after decontamination and 12% showed decreased bacterial growth. Another study led by Usha Arora (2009), showed a higher decontamination efficacy of approximately 98% with the 70% rubbing alcohol, compared to Ganapathy Shakthivel’s (2017) results of 86.6%. Preventative methods for eliminating the spread of infection via cell phones, include training other individuals (children, colleagues) not to touch phones other than their own. Some hospitals have banned or eliminated the use of cell phones during working hours. This may be hard to accomplish, considering you touch your phone on average 2,617 times a day. The most important strategy is simply to clean the device with rubbing alcohol before, during and after work – this regular routine will significantly reduce infections in hospitals. Today we have a guest student post, originally submitted as a class assignment for Communicating Science (CCOM 314). 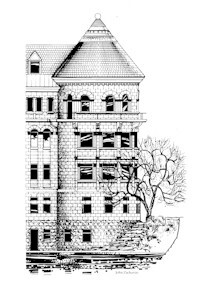 With support from Diane Dechief, Faculty Lecturer at the McGill Writing Centre, we will be sharing more noteworthy student writing right here on The Turret. 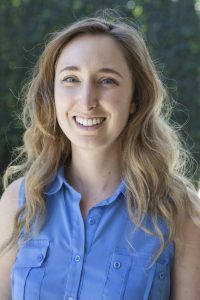 Audrey Carleton chose to write a profile on Sierra Clark, a graduate student supervised by Dr. Jill Baumgartner in the Institute for Health and Social Policy. Sierra Clark has been reading National Geographic for as long as she can remember. Even before she learned to read, she would eagerly flip through the magazine’s glossy pages to admire its photos. From this young age, she had her sights set on someday working for the publication as an archaeologist. Do students need old school instruction? 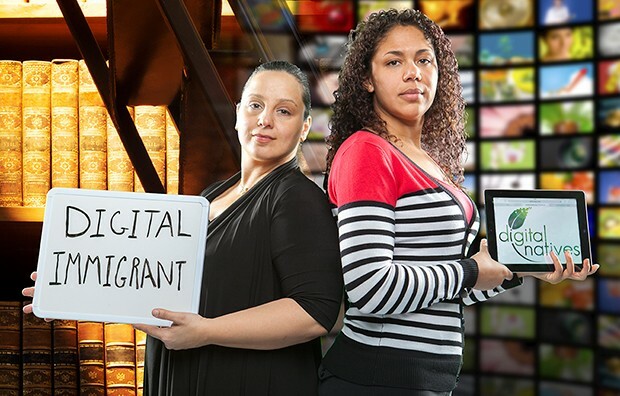 While we are getting excited about the great opportunities that emerging technology brings to higher education and busy with creating distant learning modules, online tutorials, videos, and MOOCs, research from Concordia University’s Department of Education says that “Yes, students like technology, and yes, they want it in the classroom — but they still want classical instruction.” Read more at here.